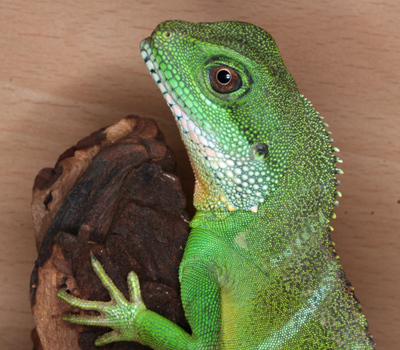 Bright green lizard. Tames easily. Good alternative to iguanas!